If campaigning for Republican presidential candidates in New Hampshire sounds like hard work, try going door to door on primary weekend for Jesus. 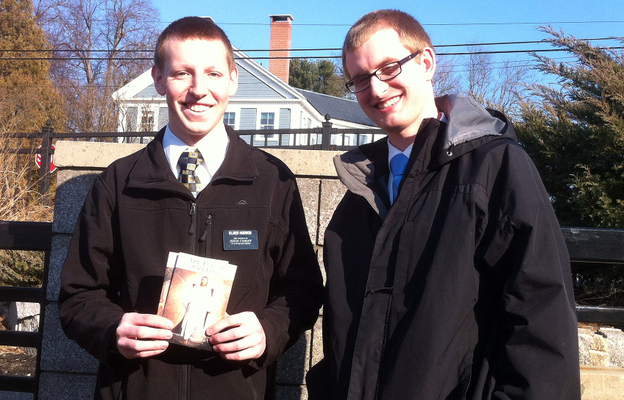 That's what Elder Taylor Bayles is doing in Exeter, N.H. "Elder" is a religious title the Mormon Church gives this missionary even though he's just 20 years old. His canvassing partner is Elder Kyle Hodson, who's 21. The two blond, conservatively dressed young men acknowledge that they tend to attract attention when they go door to door. "Generally, walking around New Hampshire in a suit and tie with a name tag makes you in the spotlight," said Bayles. 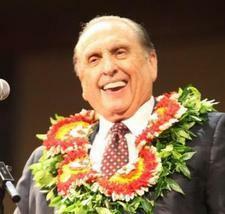 What They're Saying About "Us" Missionaries PoliticsMissionaries,Politics,What They're Saying About "Us"